It’s begenning to look a lot like Christmas! I start to get so excited when we start to get closer to the holidays… it’s countdown time 🙂 For those of you have have a few parties to attend here are some looks that will give you some inspiration. First we are going to start with my favorite… Hair! As you all know I have natural hair so this mohawk is so edgy for a NYE party. 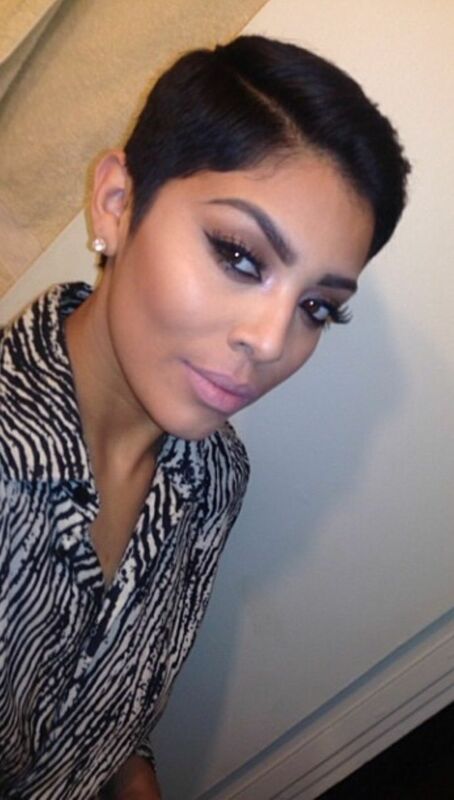 I am not sure if I would every pull it off, but those ladies who do… get it! You can’t every go wrong with a sky high bun! Buns go great with just about any outfit… especially if you are wearing statement jewelry. 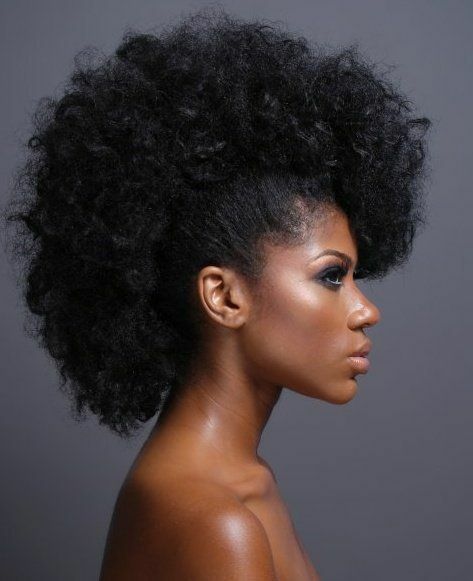 This bun here… gorgeous! Braided buns, are so romantic, effortless, and chic! After the hair is done, we now have to do our makeup. 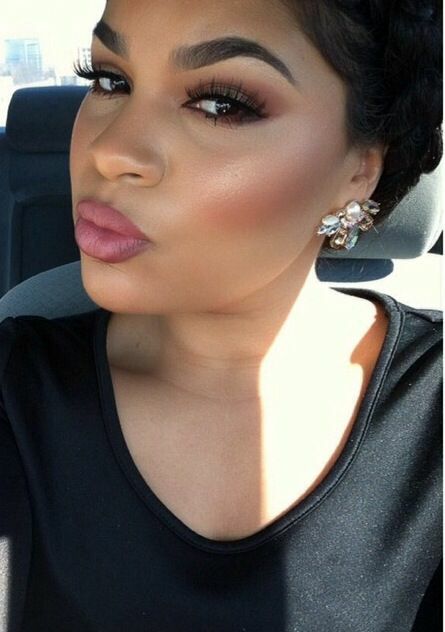 This is by far my favorite makeup look. 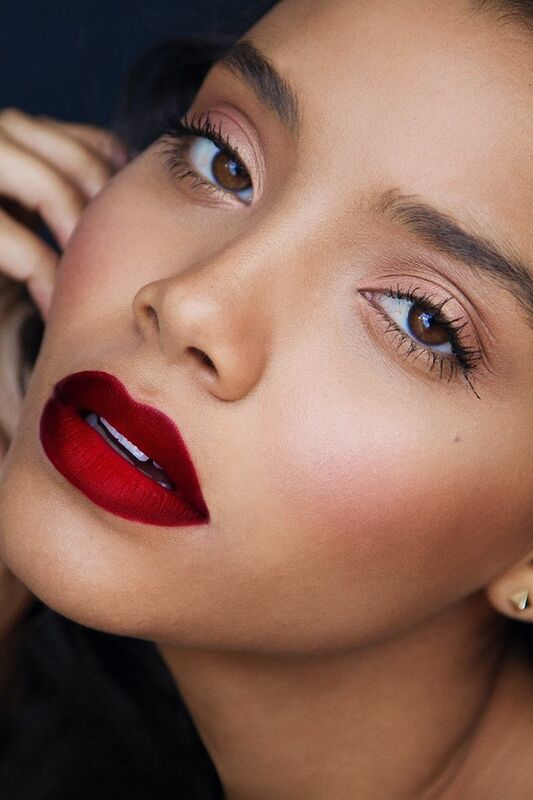 Natural eyes and a bold lip. This look is very glamorous and sultry, perfect for a Christmas party. Imagine wearing this with a bright red dress!